This Beldray 6 mm replacement stove rope kit is very easy to use and ideal for sealing the inside of your stove fire. 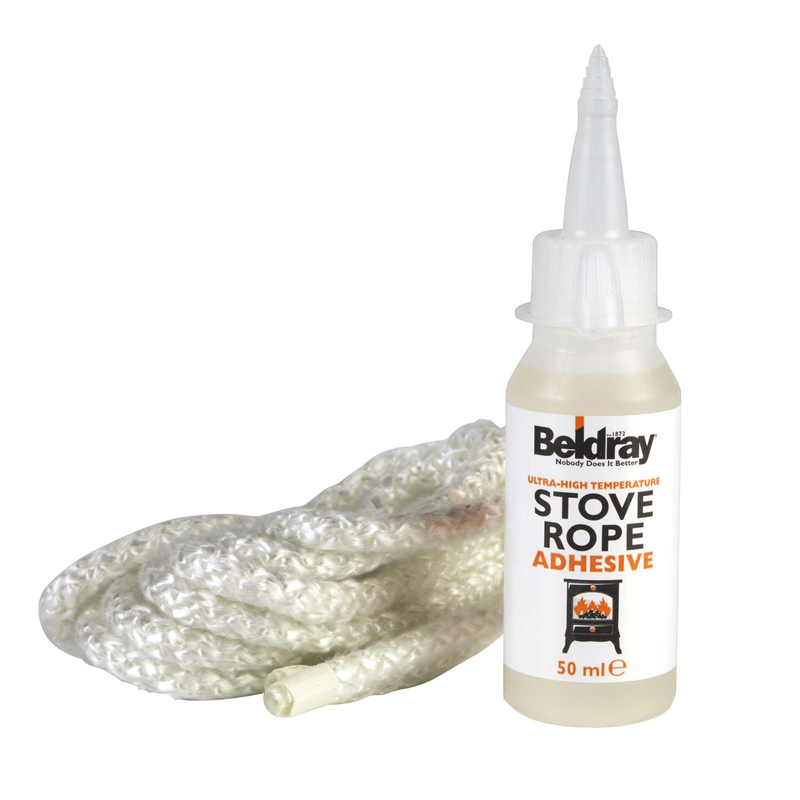 Suitable for most stove fireplaces, the rope measures 6 mm in width and is 2.5 metres long, which you can simply cut to the correct length. 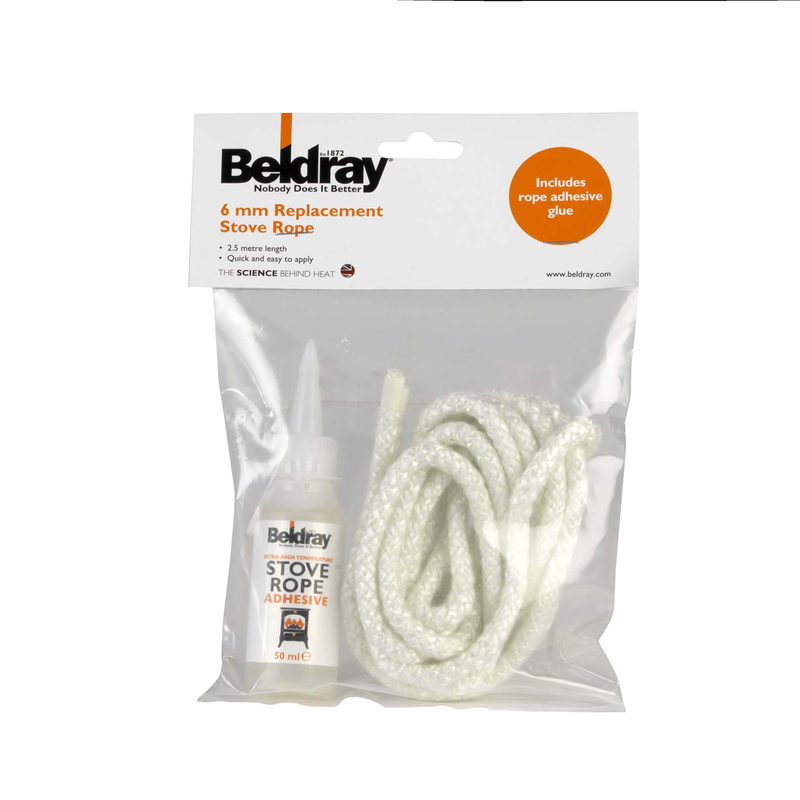 The adhesive glue is resistant to ultra-high temperature, and comes in a 50 ml bottle with a nozzle for precise and effortless application. Sealing the door improves the heating process by managing air flow whilst your stove is working. The rope measures 2.5 metres in length and 6 millimetres in width, suitable for most stoves, you simply fit to the door seal groove.